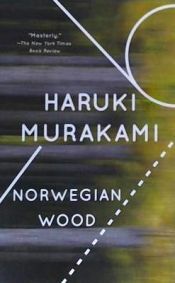 El autor de Norwegian Wood, con isbn 978-0-375-70402-4, es Haruki Murakami, esta publicación tiene trescientas cuatro páginas. Otros libros de Murakami, Haruki son A Wild Sheep Chase, Hard-boiled Wonderland And The End Of The World, Wind-up Bird Chronicle, The Wind-up Bird Chronicle, Elephant Vanishes, 1q84 Llibres 1 I 2, Tòquio Blues y El Salze Cec I La Dona Adormida. .